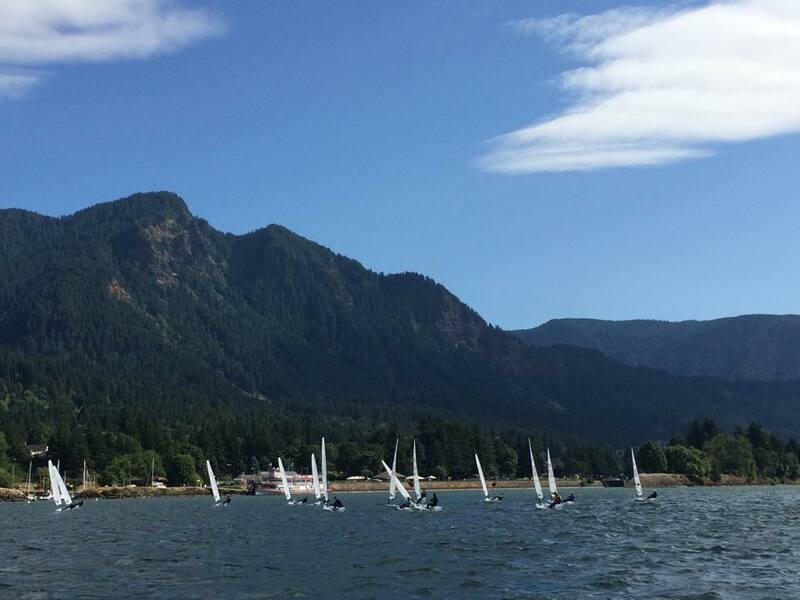 The first RS Aero North Americans took place at one of America's most inspiring Championship venues, The Columbia River Gorge, Oregon. With the afternoon thermal breezes piping up against the Columbia River's current some fantastic long downwind rides were to be had through the breathtaking mountain scenery! 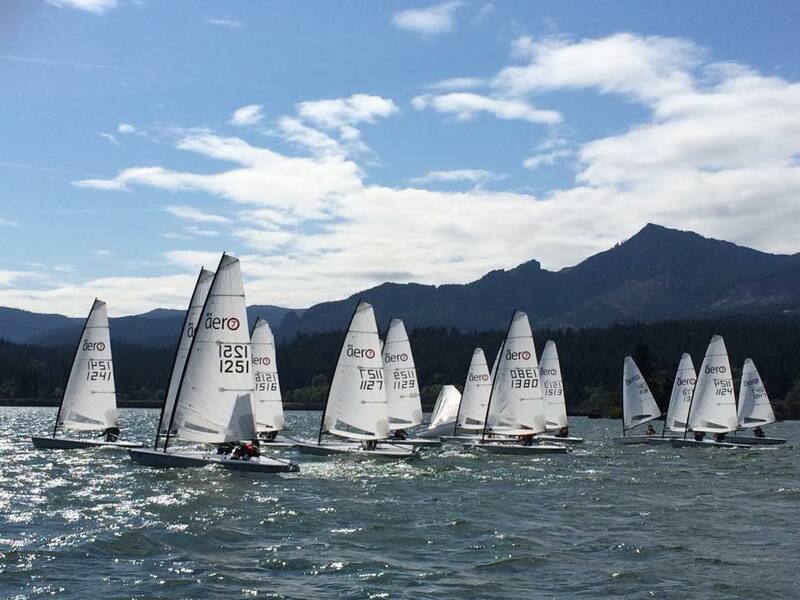 Just nine months after the first boats arrived in the U.S., 22 entries signed up with sailors from both coasts and a total of 8 states (Oregon, Washington, Rhode Island, Massechusits, California, Florida, Hawaii and Utah) represented in this exciting and memorable regatta. As with all the major RS Aero events this season the regatta was preceded with a coaching day with an RS Aero introduction, coaching and short racing provided by the RS Aero ICA Manager, Peter Barton, from the UK and Todd Riccardi of RS Sailing USA enabling many of the lessons already learned in UK to be passed on. Following the coaching Michael O’Brien arranged a RS Aero Speed Challenge where each sailor had 10 minutes to post their fastest time reaching across the river and taking turns with three Velocitek Speed Pucks. The breeze was gradually easing, so everyone was keen to set a time quickly. 16 year old Sean Grealish placed first with a excellent speed of 14.4 knots set in about 18 knots of wind using the 9 rig. The first 7 rig was Jim Muir with an impressive 13.8kn. For the Championship Racing the three RS Aero rigs, 5, 7 and 9, raced together during this inaugural event with no limit on rig changing between races. With good breezes the racing was close between rigs and the combined format provided a good fleet on one start line without the need to time racing and calculate handicap results. The course format was one large lap with zig-zag downwind reaching when the breeze was up, followed by a short beat to the finish. 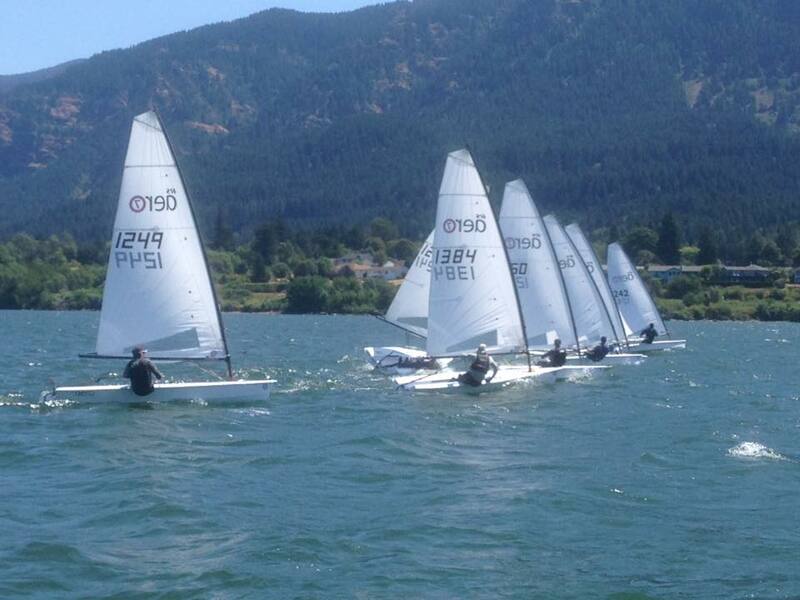 Wind conditions ranged from 10 to 22+ knots with most races sailed in 15-18 knots. 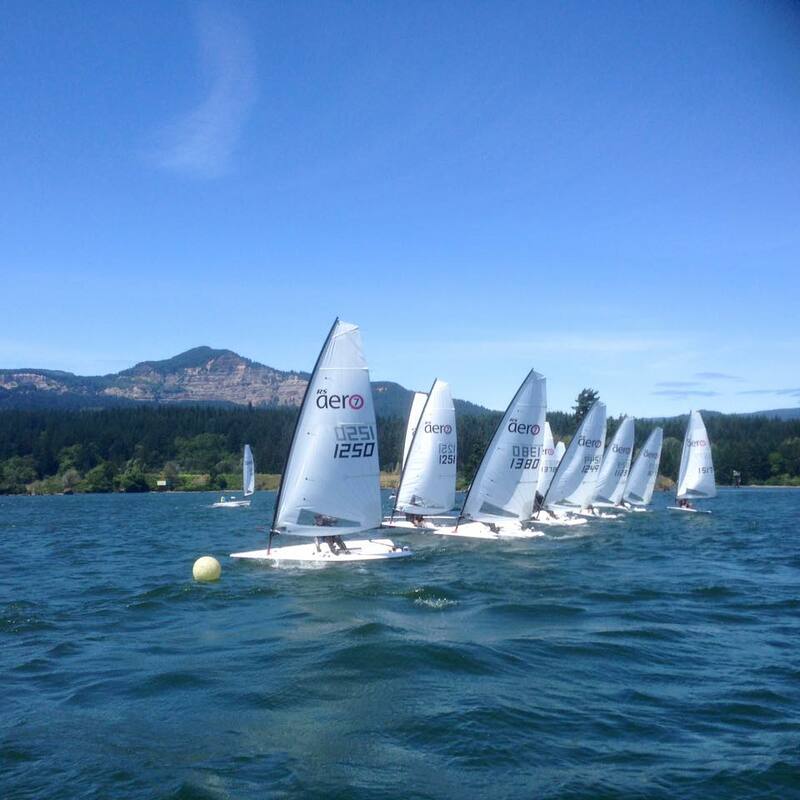 Dan Falk (Seattle) in a 9 took the top spot with a commanding performance, followed closely by the 7s of Peter Barton (GBR) in 2nd and Michael O'Brien (Seattle) squeezing a tie break for 3rd against Bill Symes (Columbia River) who very recently paced 2nd at the Laser Masters Worlds. Sean Grealish (Portland) was threatening and doing amazing combacks in his 9. He closed out his regatta with a nice first place and won the best junior award. The windiest races, Race 3 & 4, on Saturday proved the closest racing between rigs. The 7s where a tad faster upwind with the 9s slowly pulling it back downwind resulting in very close tussles in both races with the 7s fighting to defend at the bottom of the downwind! 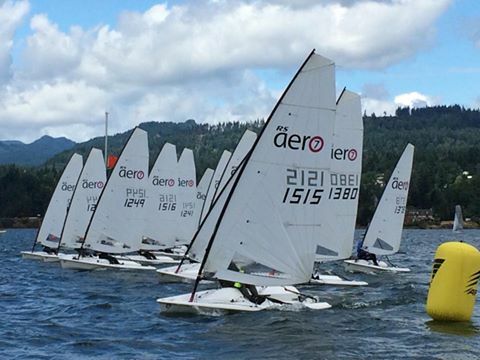 Next year the North American RS Aero sailors are all keen to return to the Gorge – maybe for a Pacific Coast Champs. From a European perspective this is perhaps the Garda of the USA; breathtaking scenery, great thermal winds and even the added bonus of the conveyer belt current upwind! Keep in touch with Everything Aero via www.rsaerosailing.org and www.facebook.com/groups/rsaeroclass.